Unfortunately Dockstar does not find the "user" environment. The very small "default" environment is used. I have fixed the MAC and IP adress to the former values. Let me take a quick look at the mainline source code (your u-boot is straight from mainline). My version of u-boot do not use 0xa0000. The mainline one probably don't use that either. But your u-boot is OK, now. so it might not use the same location. Don't worry about the envs, you can always set them to anything after booting with serial console. Perhaps it might be helpful, to provide a Text file in Format of uboot command line interface, that can be transferred using the "send file" option provided by the serial terminal program. > that can be transferred using the "send file"
That's what my released u-boot does, using uEnv.txt (loading envs from disk drive). To adjust the default envs to your specific configuration, and not having to permanently alter u-boot envs NAND. Create a text file in /boot directory with the content in the format that u-boot envs are listed. Without using that uEnv.txt capability (mainline u-boot does not have this), you can also use u-boot script loading. However, that will take some little works to prepare, too. To set an env at the prompt, you would put everything in the value side (everything after the first = sign) in single quotes to ensure space and special characters are taken as is. Edited 2 time(s). Last edit at 10/16/2018 03:15AM by bodhi. An editable Text file has the advantage that it is quite easy to make individual changes e. g. IP and MAC settings per device, and feed them (after loading a common "base" Uboot Image per JTAG) without knowledge about the correct physical adress location of environment inside Flash ROM through serial line without any need of network connection and attached storage, TFTP server etc. > connection and attached storage, TFTP server etc. We had this capability for many years here :) usually it is much better to put it in a storage drive or the NAND rootfs partition. Why? because it can be used to tailor your environment without having a serial connection permanently attached. Edited 1 time(s). Last edit at 10/16/2018 04:00AM by bodhi. ... usually it is much better to put it in a storage drive or the NAND rootfs partition. In my understanding that can be achieved by asserting "saveenv" after loading the environment variables line-by-line with "setenv". The environment there is much shorter than the one in the separate image. If I make uboot start from a flash only filled with the u-boot image itself no crc error is reported. The only problem is the quite short set of environment variables. So it seem, that I have no way to puzzle together the last environment-image and u-boot image itself into the flash. > storage drive or the NAND rootfs partition. > variables line-by-line with "setenv". Sure. Those are the envs you are happy with (them after loading from a text file such as uEnv.txt, or type in explicitly at the prompt). The text file uEnv.txt is meant to be a way to change envs without interact with serial console during boot (automatically load and imported). This file is to be resided on the rootfs /boot folder. So uEnv.txt serves both purposes: During testing or inital setting (your situation), and later in normal operation to "tweak" the system behavior each time it's booting. See the installation instruction in my u-boot release thread for hints how to do what you want. The envs location might be different, but the idea is the same. Cool. So is it running OK or you still have problem? Concerning u-boot, the job is done, I think. Next step will be to install some variant of Linux. I think it will be debian on usb stick. Is the warning concerning disabled caches something to worry about? This warning is OK. You can ignore it. perhaps some address are not good for the stora. The config file that you use is for Pogo E02. The Stora has the same SoC, but there are differences. So different u-boot image, envs image, and training sequence are needed. 3. Here is the tricky part. The training sequence that joerg has is for Pogo E02. 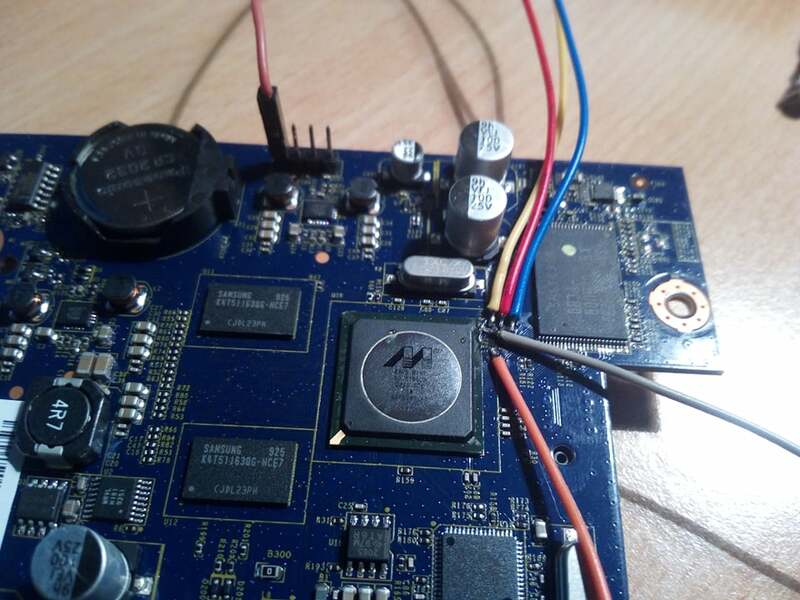 Once you get this JTAG working, your config will be the Stora config that will come in handy for future Stora unbricking. Startsequence Marvell/Sheevaplug (Pogo E02) and Startsequence Marvell/Netgear ms2110 and check the difference. PS: the -work-area-phys 0x10000000 \ is wrong in your config, it should be 0x100000 !!!! Edited 1 time(s). Last edit at 11/26/2018 03:48AM by joerg_999.